How important is the truth? (Moriarty) – Joyce's mystery and fiction book reviews with some non-fiction too! 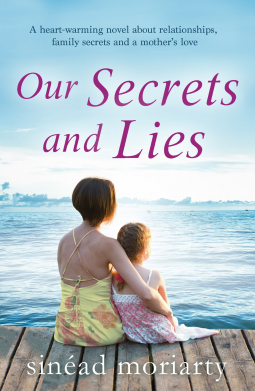 Our Secrets and Lies tells the story of Lucy and her family. If you enjoy women’s fiction, this may be for you. Lucy was top of her class, ambitious and in love when she fell pregnant. The decisions that she makes from that point on fuel this novel. This book talks about many important issues in a way that is made part of the story. There is unplanned pregnancy and the difficulties of deciding what to do, teen drinking, sexting, bullying, etc. Characters are warmly drawn and each has a unique personality. My only quibble with this book is that it could have been shorter. Certain themes are repeated more than I felt that they needed to be. Overall, a good read though.